The Great British Bake Off judges Mary Berry and Paul Hollywood roll up their sleeves to give us a festive baking Masterclass. Sharing some of their own special tips they’ll shed light on how to bake the classics perfectly; mince pies, Christmas pudding and Christmas cake. 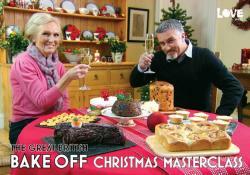 And for the more adventurous Mary and Paul suggest panettone, Buche de Noel and turkey and cranberry Chelsea buns. With the Bake Off tent all to themselves, Mary Berry and Paul Hollywood show us – for the first time ever, which Signature Bakes they would have chosen if they’d been in the bakers’ shoes. They guide us through every step of their recipes, so that we can all get perfect results every time. Imagine you could turn back the clock and revisit a moment from the past. This is precisely the challenge set by the residents of one East London Street when they celebrated the Queens jubilee with a street party, exactly how the street had done for the Queen’s Coronation in 1953. The pupils in Year Six of Heavers Farm Primary School in South London are in the best year of their school lives. It’s the start of their last ever term at school a3 x 30' nd it’s a time of emotional highs and dramatic lows. The pupils in Year Six of Heavers Farm Primary School in South London are in the best year of their school lives. It’s the start of their last ever term at school and it’s a time of emotional highs and dramatic lows. They have the dreaded SATS to sit, a date for the end or term Prom to sort, an end of year play to perform and of course the anxious wait to see what secondary school they will be going to. It's the moment every cake, biscuit and pie lover has been waiting for, the BAFTA award winning Great British Bake Off is back. Multicultural Britain needs help. Some people aren't mixing and our cities are becoming increasingly divided. Nowhere is the problem clearer than in Bradford. In this series over a hundred people from Bradford sit the UK citizenship test. Nearly everyone fails. Eight of the individuals who fail are invited to live together and explore what it means to be British. Can people of different races, different religions, and different cultures really live together? 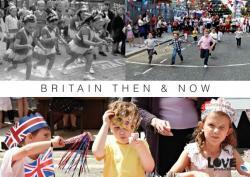 Can eight people from different worlds but the same city define what it means to be British in 2012? Multicultural Britain needs help. Some people aren't mixing and our cities are becoming increasingly divided. 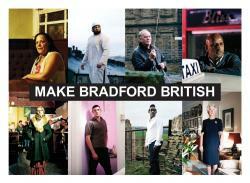 Nowhere is the problem clearer than in Bradford. 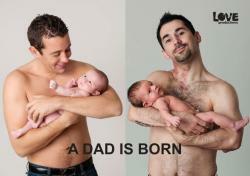 If there is one day on which a boy turns into a man, it is the day on which he becomes a father himself. Film-maker Kira Phillips follows three men in the weeks before and after the births of their babies, and watches the struggle of parenthood from the dads' point of view. British women do twice the amount of childcare than men and nearly half of all mothers feel that their partners don’t do their fair share. The nation’s mums have had enough. In this brand new three-part series, nine men are sent on a crash course in childcare by their long-suffering wives and partners. Sent to work in three busy London nurseries, they’ll tackle every aspect of childcare under the watchful eyes of the nursery staff. Can throwing them in the deep end teach these dysfunctional dads to be better fathers and give their kids the loving, positive male role models they desperately need? British women do twice the amount of childcare than men and nearly half of all mothers feel that their partners don’t do their fair share. The nation’s mums have had enough. The Great British Bake Off is back in January for a Sport Relief special series, which will see twelve well known faces from across ￼the BBC enter the Bake Off tent. 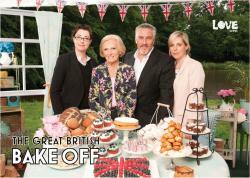 Presented by Mel Giedroyc and judged as usual by Mary Berry and Paul Hollywood, the show is stripped across the week. 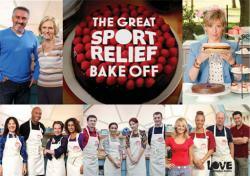 There are three heats; in each heat, four bakers compete for a place in Friday’s grand final. The Great British Bake Off is back in January for a special series, which will see twelve well known faces from across ￼the BBC enter the Bake Off tent. 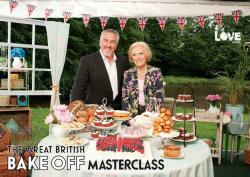 Presented by Mel Giedroyc and judged as usual by Mary Berry and Paul Hollywood. Four young ambitious unemployed people, Kirsty, Ben, Sasha and Chris, take part in a unique television experiment, where they are given the opportunity to experience a career in fast forward. The Career Crashers are given an apprenticeship of a lifetime as they find out what it is like to work at every step of he career ladder. In just a short amount of time they work their way from basic entry level jobs to being managing directors of Britain's biggest brands. Will it help them get an individual insight into the world of work? And will it help them secure their dream job? Four young ambitious unemployed people, Kirsty, Ben, Sasha and Chris, take part in a unique television experiment, where they are given the opportunity to experience a career in fast forward. 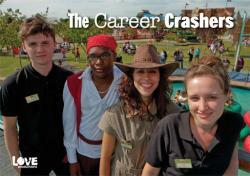 The Career Crashers are given an apprenticeship of a lifetime as they find out what it is like to work at every step of he career ladder.